"Love it! I play this in my car on repeat on the way to work. Gets me in a good headspace." "I had no idea the voice in my head was so negative. Surprising how something so simple made such a big difference." "My friend told me about this program. I was skeptical at first but it does work. I listen to it for my anxiety." "About two weeks in, I noticed I was autocorrecting myself. Best feeling to know I can direct my thoughts." "It's like having a song stuff in your head but with real positive words. Weird how it works." Transform Your Negative Self Talk–Just By Listening. For those who want the flexibility to learn the powerful skill of reframing in an audio format. When you don’t know your value, other people will determine it for you. Feelings of worth grow out of your language. This audio guides you through the step-by-step process of changing the negative thoughts and words you use to define your self worth. Transform Your Negative Self Talk–Just By Listening. For those who want the flexibility to learn the powerful skill of reframing in an audio format. Transform how you see and feel about your body. 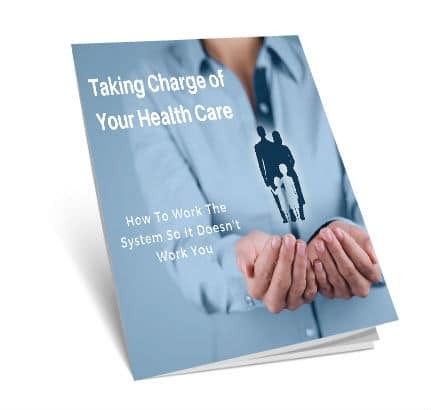 This audio guides you through the step-by-step process of changing the critical and judgmental commentary you make about your appearance and health. Speak your way to loving yourself. Transform Your Negative Self Talk–Just By Listening. For those who want the flexibility to learn the powerful skill of reframing in an audio format. Your words and thoughts filter how you view the world and the people around you. Having a negative attitude or victim mentality subjects you to the control and will of external forces. View life with a positive filter and sense of control. Transform Your Negative Self Talk–Just By Listening. 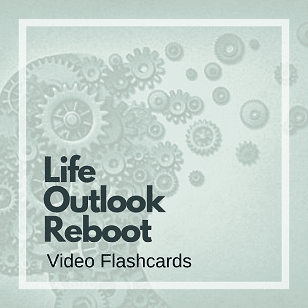 For those who want the flexibility to learn the powerful skill of reframing in an audio format. Change how you speak and feel about money. Learn how to rewrite your beliefs and rules about money. This audio guides you through the step-by-step process of using powerful words to take you from feelings of lack and fear to abundance and confidence. Transform Your Negative Self Talk–Just By Listening. For those who want the flexibility to learn the powerful skill of reframing in an audio format. An anxious mind is one that lives in a heightened state. If you’re stuck in a mental loop of worrying, over-analyzing, and questioning all aspects of your life, it’s time for a reboot. Restore calm in your mind and boost your confidence. Transform Your Negative Self Talk–Just By Listening. For those who want the flexibility to learn the powerful skill of reframing in an audio format.If you want to break free from your dependence on other people, you must develop your own self motivation. To do so, you’ve got to remove and transform the limiting beliefs you create with your self talk. Learn to be your own cheerleader! If you don’t know your worth, you’re at risk of being taken for granted or mistreated. You must change the negative thoughts and words you use to define your worth. This script teaches you how to re-frame your negative self-talk and quiet your inner critic. Includes instruction guide, re-framing script, and video flash cards. Transform the way you think and feel about your appearance and weight. Learn to speak to yourself with compassion and acceptance. 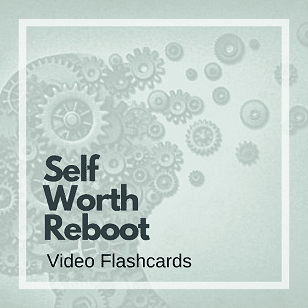 This script teaches you how to re-frame your negative self-talk and quiet your inner critic. Includes instruction guide, re-framing script, and video flash cards. Your attitude and outlook on life has a powerful influence on your behavior. If you can’t shake your bad mood, or you feel stuck, or you feel like its you against the world; it’s time for a reboot. This script teaches you how to re-frame your negative self-talk and quiet your inner critic. Includes instruction guide, re-framing script, and video flash cards. Are money problems an ongoing struggle for you? You may be using limiting language and holding some beliefs that keep you in a place of lack. Change how you think and speak about money. Learn how to transform your money mindset. This script teaches you how to re-frame your negative self-talk and quiet your inner critic. Includes instruction guide, re-framing script, and video flash cards. You don’t have to spend a ton of money or time to change your life. In fact, making small changes over time is the most effective way to transform your thinking. Have you acquired your own mini-library of self-help books and programs but have yet to experience lasting change? There are a ton of self-help products and programs on the market that will inspire and excite you in the moment. Unfortunately, this new motivation fizzles out once the reality of life kicks back in. The problem is that most self-help books and programs don’t teach people how to overcome the greatest barrier to change—our thoughts. Your old programming and habitual thoughts run on autopilot and will just keep overriding new information. You can’t change your life without changing your old programming. My self-help tools and programs are specifically designed to teach you how to identify and re-write the stories, beliefs, and thoughts that drive your behavior. 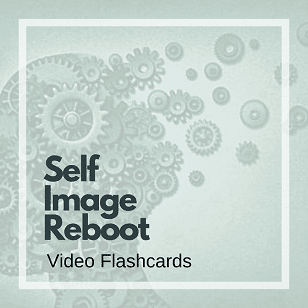 By practicing self-awareness and skills like reframing, you learn how to Reframe & REPLACE old conditioned thoughts and limiting vocabulary with powerful instructions to rewire how you think. Think of it this way. Adding empowering words and thoughts into your old programming is like adding drops of clear water into a glass of murky, polluted water. Initially, there appears to be no change. But over time, with each drop, the water in the glass becomes clear. Improve Your Relationships & Heal Old Pain. Remove Limitations So Love, Money, & Opportunities Flow In. Inspire Change in the People Around You. Stop People Pleasing & Attention Seeking Behaviors. Gain Control Over Your Emotions. Design the Life You Want With Your Thoughts & Words.